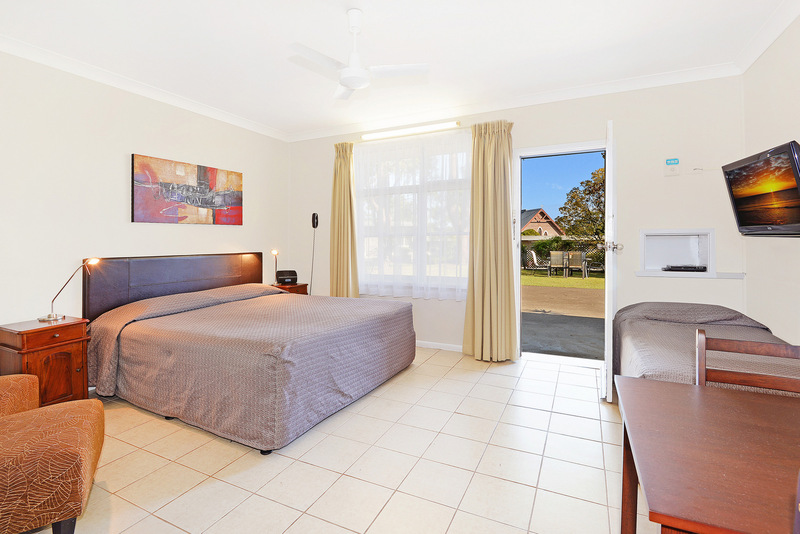 All rooms have queen beds, flat screen televisions with DVD player, tea and coffee making facilities, reverse cycle air conditioners, iron and ironing board, direct dial telephone, toasters and ensuite bathrooms containing hairdryers. 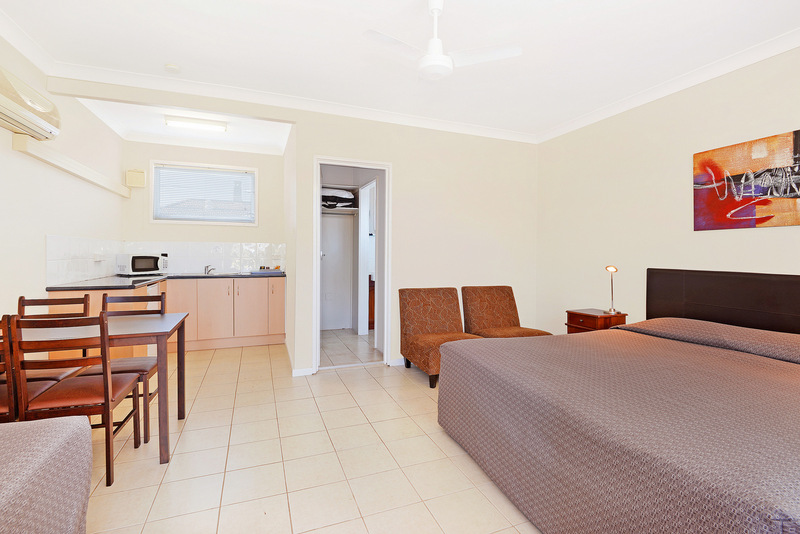 Three rooms have kitchenette facilities. Wireless broadband internet, game console hire, laundry facilities and a dog kennel and tether are also available to guests booked in pet friendly rooms. CALL (02) 6553 4295 NOW TO MAKE A BOOKING! 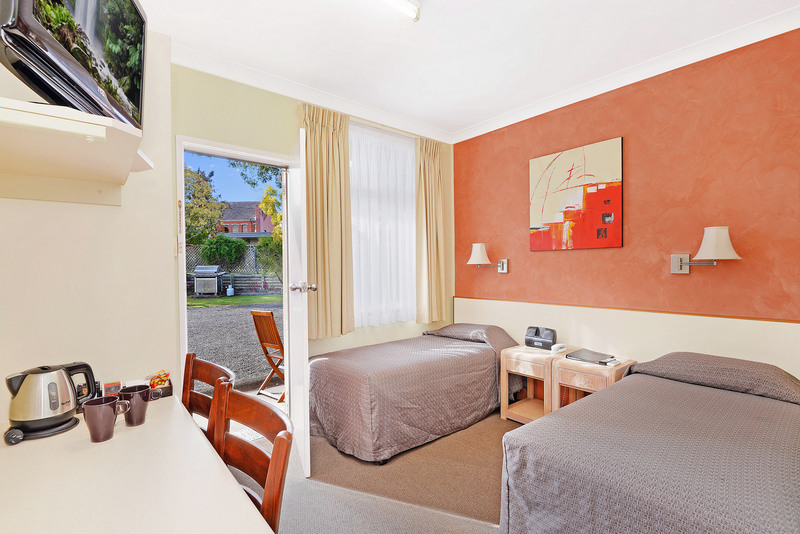 The standard single room rates are for 1 person. 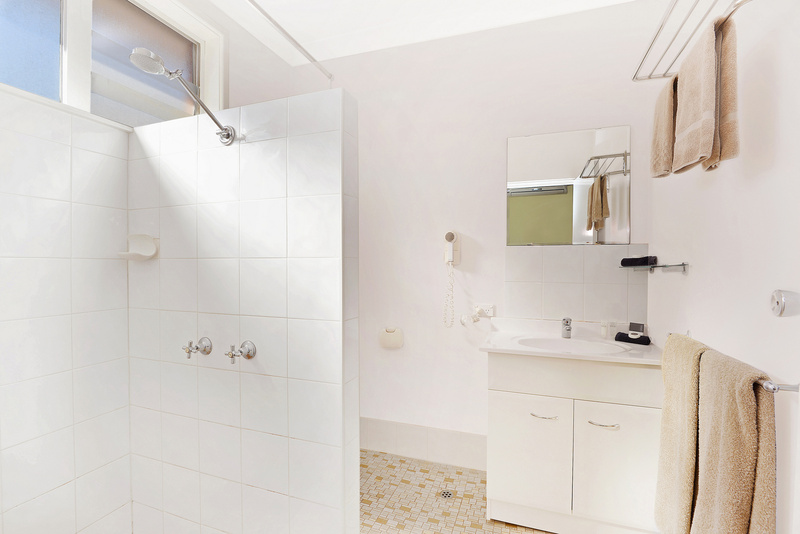 The room caters for a maximum of 1 adult. Room features a queen size bed. The standard queen room rates are for 2 people. 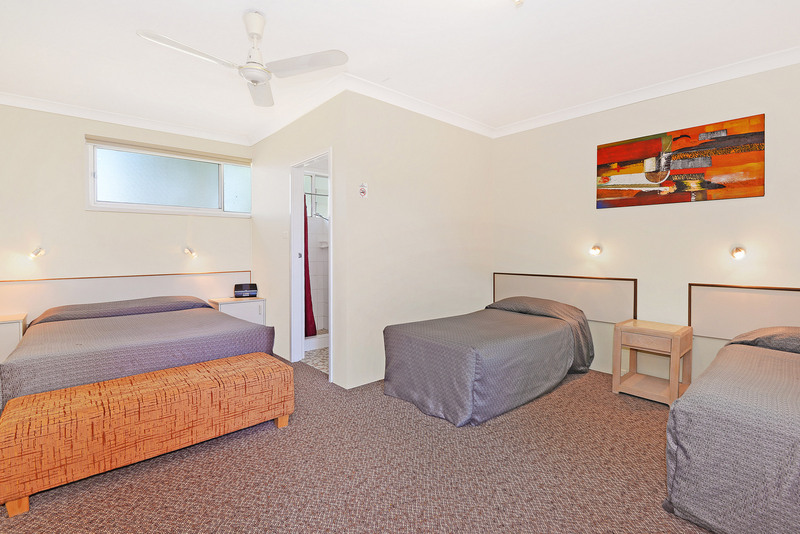 The room caters for a maximum of 2 adults, and a maximum of 1 child but cannot exceed 2 guests in total. Bed configuration can be a queen bed or two single beds. The twin room rates are for 2 people. 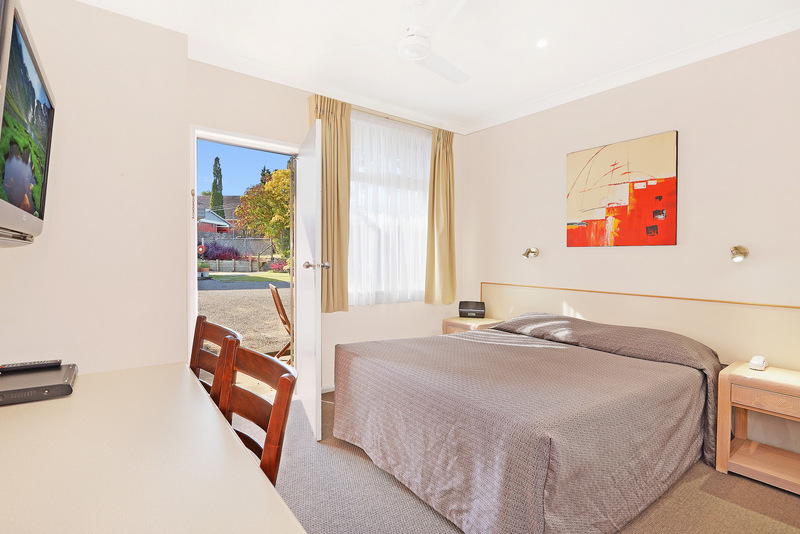 The room caters for a maximum of 2 adults, and 1 child but cannot exceed 3 guests in total. Bed configuration can be a double and a single, or two singles. The triple room rates are for 3 people. 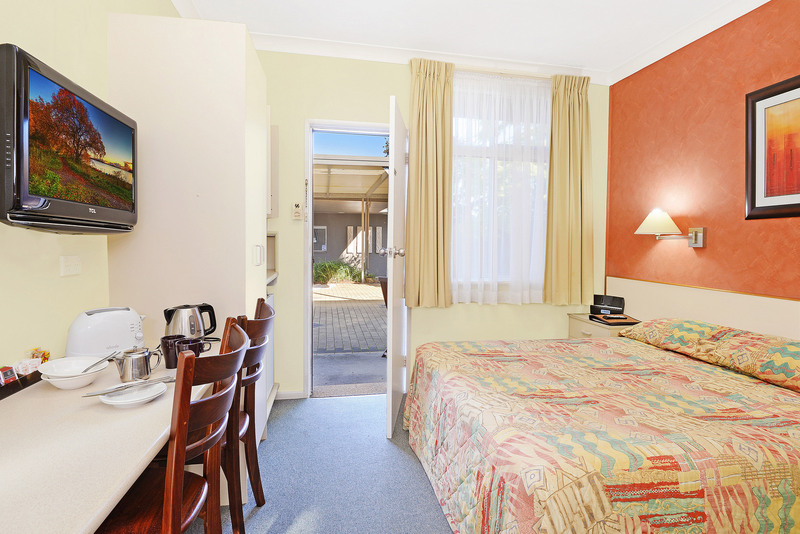 The room caters for a maximum of 3 adults, and a maximum of 2 children but cannot exceed 3 guests in total. Bed configuration can be a double and a single, or, three singles. The family/kitchenette rates are for 4 people. 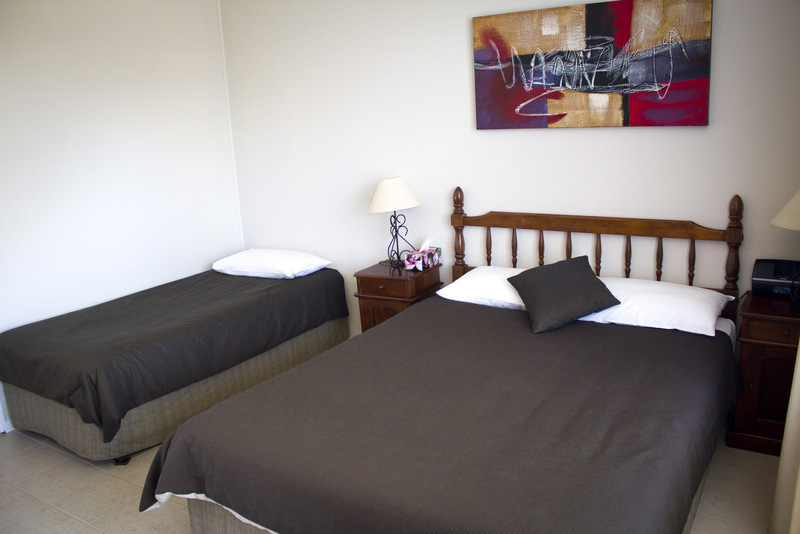 The room caters for a maximum of 2 adults, and a maximum of 2 children but cannot exceed 2 guests in total. Bed configuration can be a double and a single, or, three singles. Additional bedding is available on request. 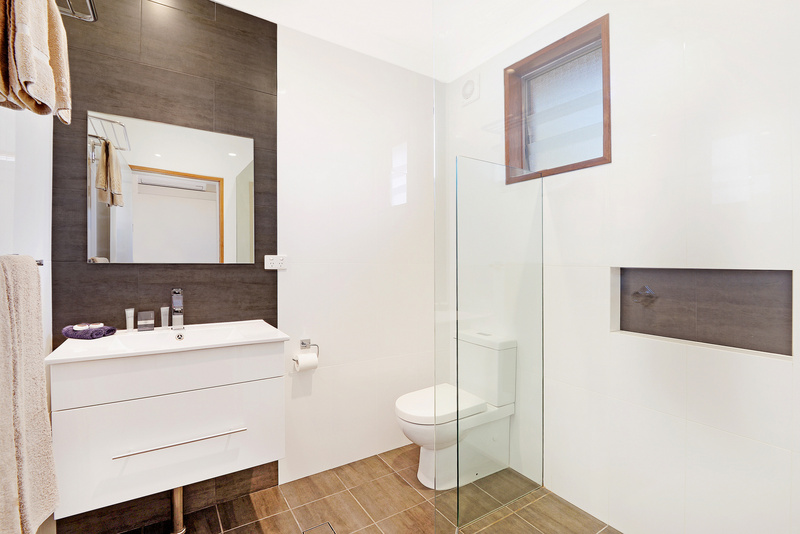 The room includes a self-contained kitchenette for your use. Our dedicated “Pet Friendly” rooms have a tiled floor, a leash anchor and are located toward the back of the Motel with easy access to Church Lane for walking your pet. Bedding configuration is dependent on the room booked but the standard is a queen bed AND two singles – making it a family favorite. A requirement of booking this room is that you complete and sign our Pet Health Certification and Liability Waiver document. The room is our most popular room, so when you book it is best to request it specifically and have your booking confirmed and the aforementioned Pet Health Certification and Liability Waiver document completed prior to arrival. Book Now!A $20 cleaning surcharge applies.